9) Controlled opposition can promote a bogus story as legitimate then discredit those who supported it by having controlled opposition agents, at a time of their choosing, discredit the information completely. This is called a ‘honey-trap’. Remember the ‘LIBOR shooter hoax’? Propagandists under establishment control promoted a story that claimed the Aurora and Sandy Hook shooters’ fathers were due to testify in the LIBOR scandal. It was later debunked but not until enough suckers had jumped on-board and blindly supported it without fact checking the story. Those that ran with the bogus story ended up looking incompetent and untrustworthy. 10) Controlled opposition practices mind control and social engineering. For example: if you want to divide the police/army from civilians you have your controlled opposition outlets run only articles and videos that shine a negative light on police and military. Have you noticed all the ‘bad cop beats down innocent person’ videos but none (or very few by comparison) that show police doing good deeds and good works? Let’s not forget the Alex Jones ‘drone shoot down video’ and Mike Adams of NaturalNews calling for an armed citizen’s arrest of DNR officials in Michigan. This is an attempt to incite lawlessness and criminality. It is intentional. It is planned. 11) Controlled opposition controls the airwaves and consequently, who is allowed to be seen by the American public. Undercover agents (commonly known as ‘shills’) speaking on behalf of the establishment can be given VIP access to the lights, camera and action. Those with genuine information can be blacklisted, just as I was from PrisonPlanet over the Plume-Gate cover-up back in May of 2012. When you control who is allowed to be seen by the public you not only control the topic of conversation, but you tend to add legitimacy to those who are promoted and you tend to discredit those that never have access…after all, if what they were talking about was important, they would eventually be interviewed by InfoWars, right? 12) Controlled opposition has the vampire-like ability to drain energy, especially in the form of finances, from those that oppose establishment forces. When you donate money to or buy merchandise from controlled opposition outlets you help them while hurting yourself. 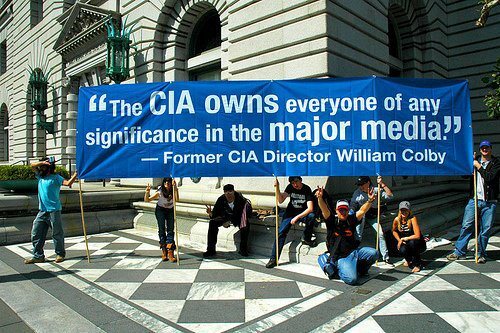 That money might have been used to purchase a new video camera or laptop that would aid in your ability to fight the information war. It is also important to note that time is another valuable asset that controlled opposition wants to sap from you. How many hours did you spend on another pointless InfoWars poster contest? 13) Controlled opposition offers no solutions or ‘solutions’ that never go anywhere. Like the poster contest mentioned above, most of what the propaganda outlets offer in the way of solutions are a complete waste of time (see also #12 above). Obvious solutions that have a chance of working are ignored. 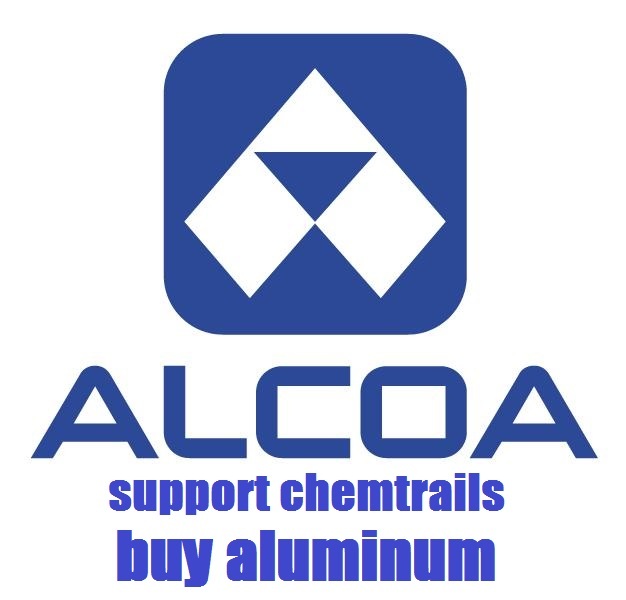 Have you heard Alex Jones endorse, promote or talk about the boycott of aluminum to stop Chem-Trails? Of course not…boycotts work! At the end of the day, the public at large must understand, identify and replace controlled opposition outlets and figureheads or blockbuster stories such as Plume-Gate will never come to light to the degree they should. Senator Morse of Oregon once stated (I am paraphrasing) that given the facts, the American public could make the right decision. The problem, Morse went on to say, was that the government would not give the American public the facts. With the help of controlled opposition this is still true to this day. Remember that they only have to fool most of the people most of the time. Controlled opposition is how they are doing it. 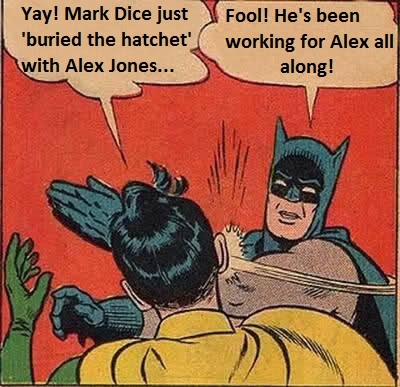 Posted on September 5, 2013, in Controlled Opposition and tagged adam kokesh, alex jones, CIA, fukushima, infowars, mark dice, naturalnews, operation mockingbird, plume gate, prisonplanet, the intellihub. Bookmark the permalink. 4 Comments. Congratulations, Hattie! You have become a target of the faux/fake at enenews as well. Good sign. Keep up the great work! P.s. I assumed you were Canadian with the hockey reference, lol, is there hockey in Florida? I am not Canadian but there is a hockey team in Tampa….the Tampa Bay Lightning. My colleague, Shazzam, is from Canada….I find Canadians to be very nice, respectful people thus far. Thanks for the props. One day I will legislate a law making ‘trolling’ (defrauding the public, in an orchestrated manner, of information that would save lives) a 3rd degree felony punishable by 5 years or $ fine. 50,000. Enenews alone would fill a super-max prison. Well done – Your 13 points on controlled opposition are worth noting. If there were a law against media outlets for defrauding the public the New York Times would have to be one of the first in the docket. Their published lies about WMD in Iraq convinced the American public to support the criminal war of aggression against that nation. The entire mass media sphere in the United States, for that matter, has actively supported the evil 9-11 deception that brought us two costly and disastrous wars. I am glad to see that you are related to Ted and Nelisse of San Diegans for 9-11 Truth. I sent them my Solving 9-11 set of books. To be sure I would conduct ‘arrests en masse’ if I had the authority to do so….and I’ve considered a campaign for President in 2016 based on a platform of mass round-ups of the conspirators….of which there are thousands…thousands indicated in Plume-Gate alone….media, defense, government, they are in all sectors. Until they are jailed (along with plenty of judges so we can have a legal system again) and held accountable for their crimes there will be no change in our situation.